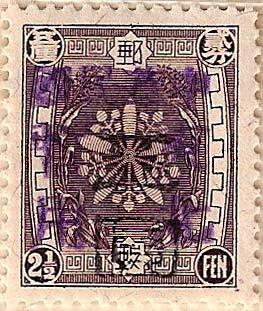 Double overprint, 1 grey and one purple. 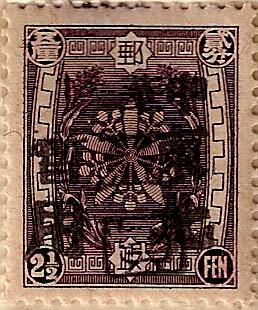 This chop is part of a set of 22 values, the same chop also appears in black in a similar sized set - see below. 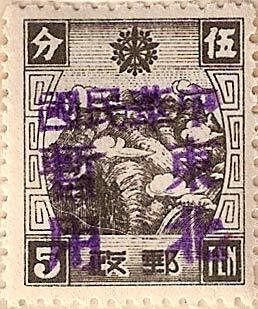 The outer four characters read 中國郵政 Chinese Post the inner two characters 暫用 Temporary Use. 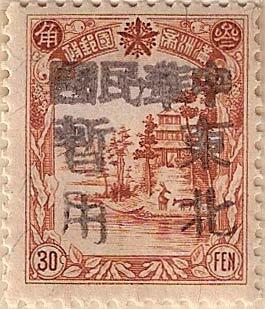 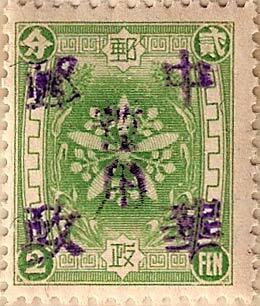 Booklet panes exist for the 2f stamp (above) but not the 4f. 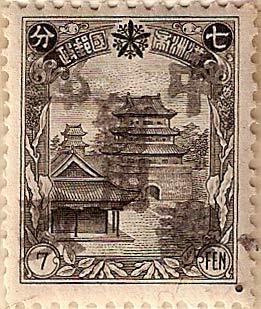 This chop is part of a set of 21 values overprinted in soft grey/black. 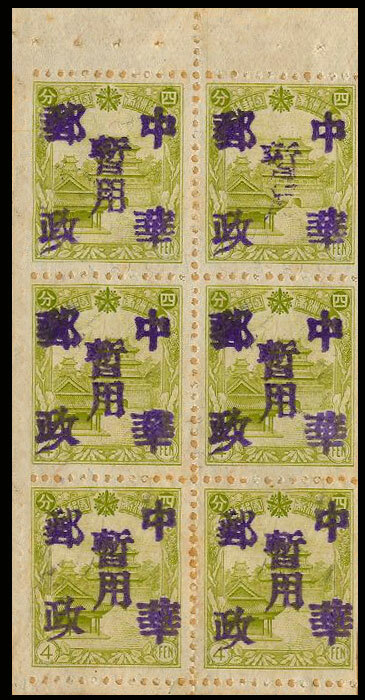 Both Kerr and Chan identify the 4f Booklets as a separate issue for the 2f which is listed as part of the above set, presumably therefore these were issued later. 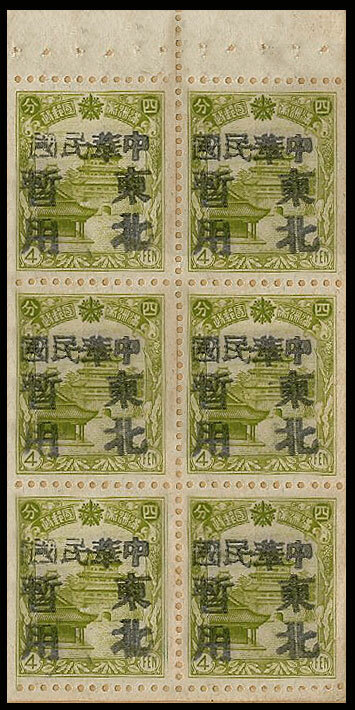 Both booklets shown have the tissue backing paper intact. 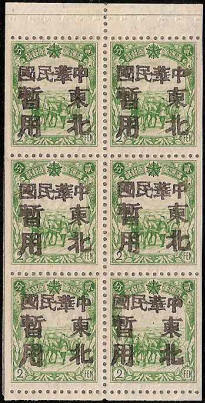 Full set of 10 values with a soft black overprint plus booklet panes, again Kerr lists the 2f as part of the above set but not the 4f. 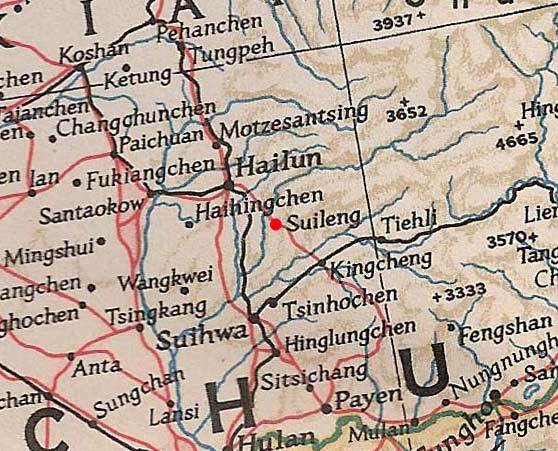 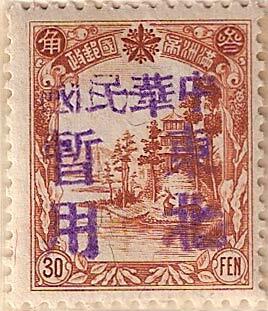 The upper four characters read 中華民國 Chinese Republic, left 暫用 temporary use, right 北東 re-valued. 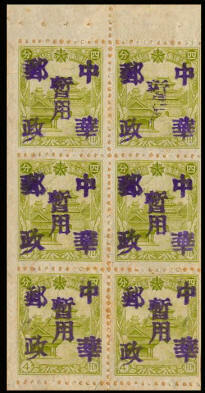 Full set of 10 values with a hard violet overprint. 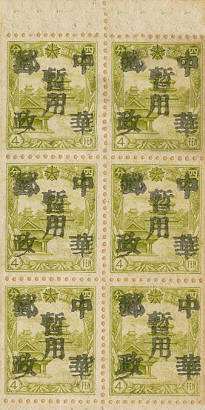 Booklet panes exist for the 2f stamp. 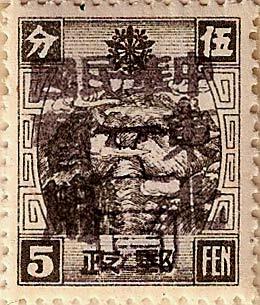 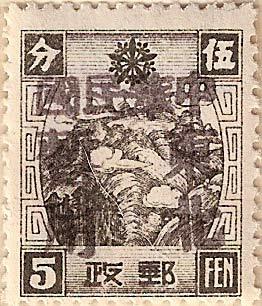 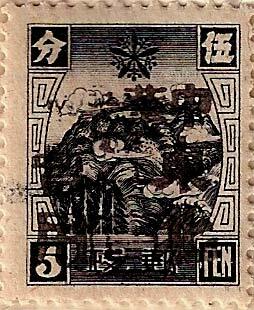 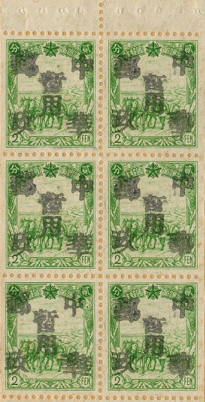 Black 5Y surcharge on six stamps from the above set with a black 中華民國 Chinese Republic overprint. 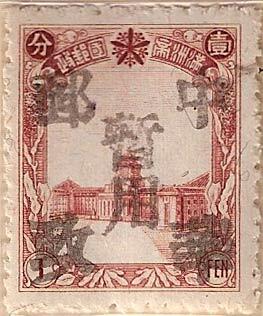 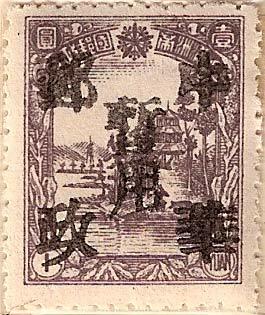 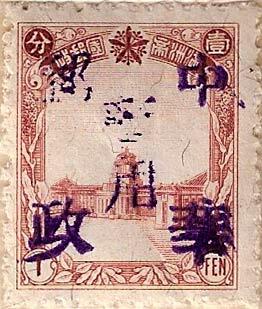 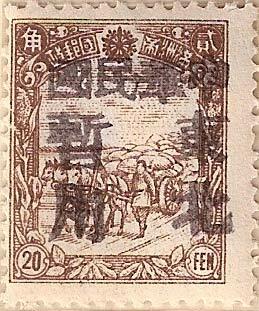 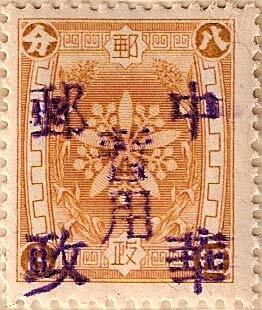 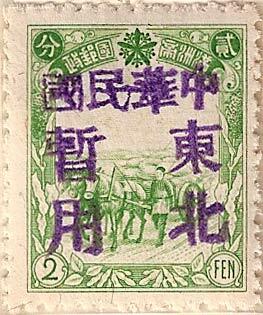 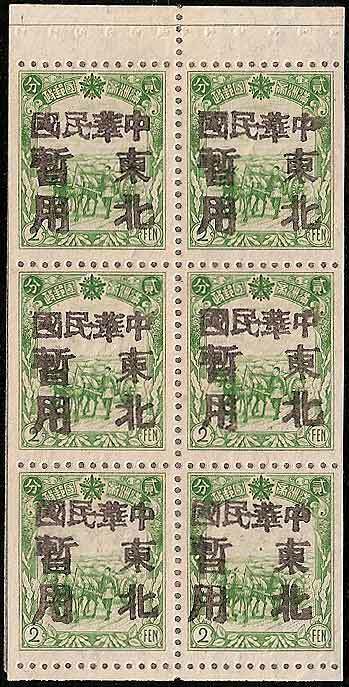 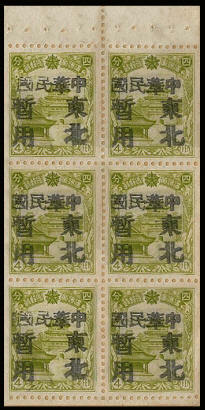 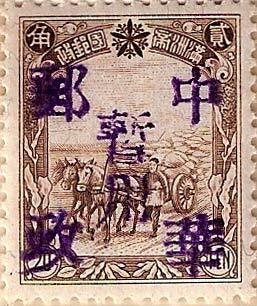 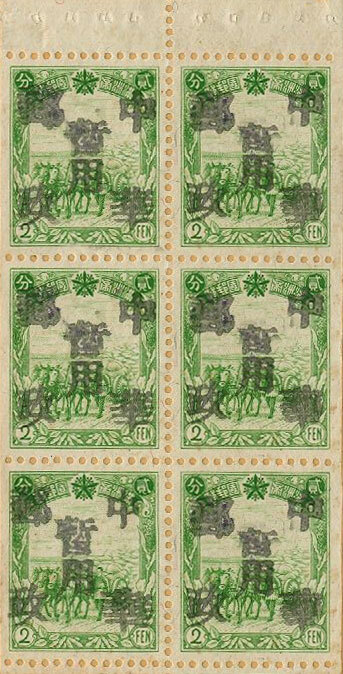 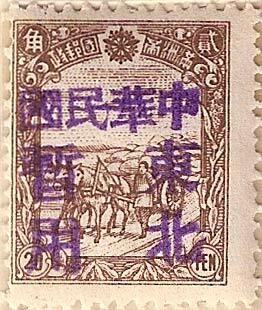 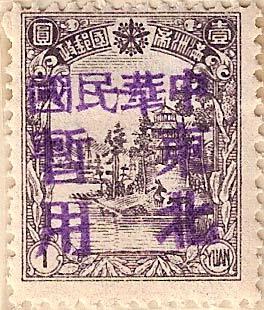 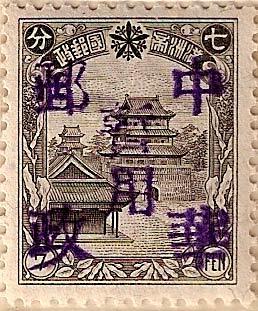 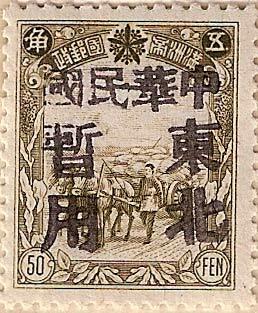 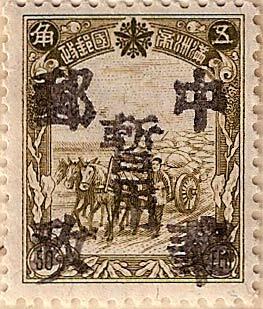 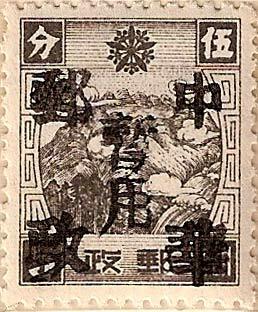 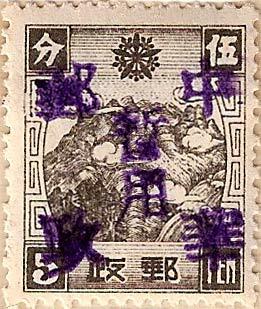 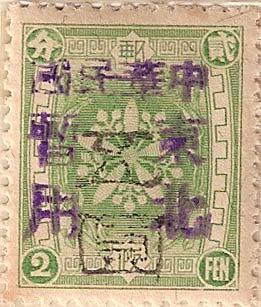 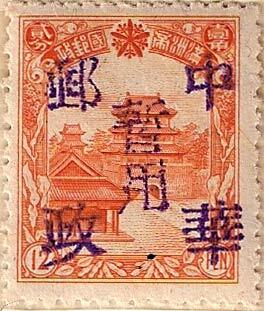 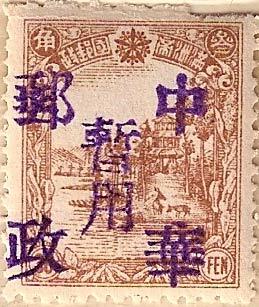 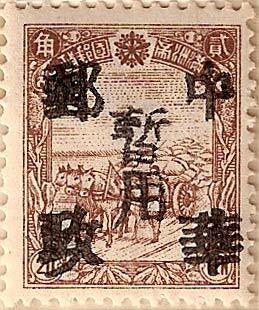 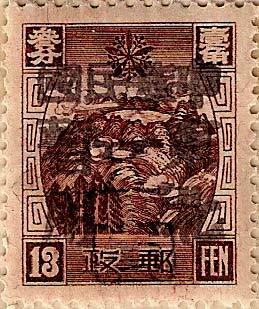 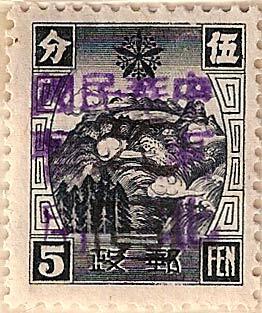 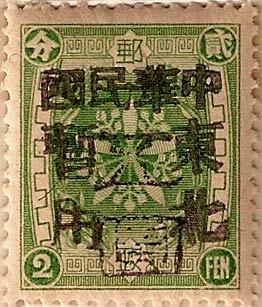 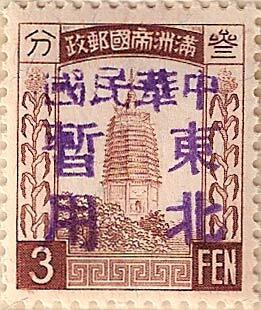 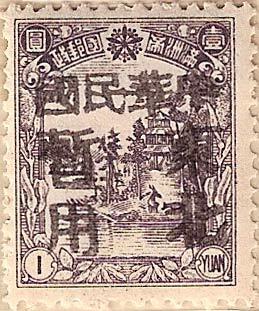 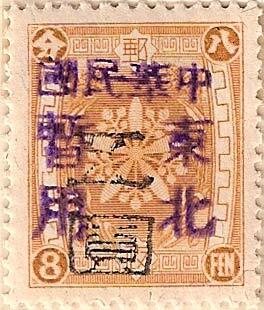 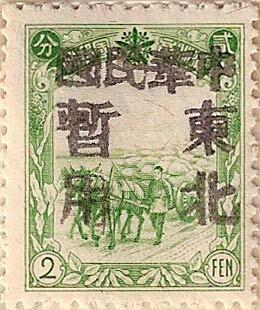 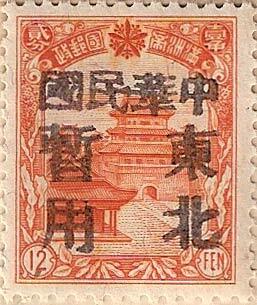 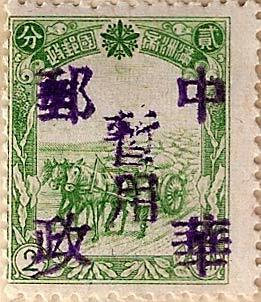 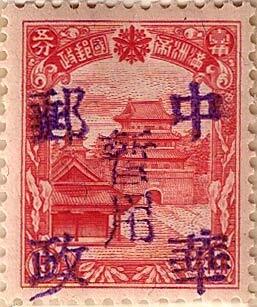 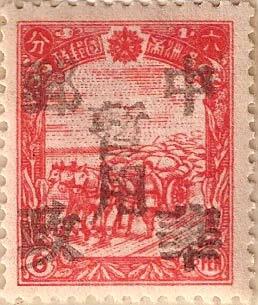 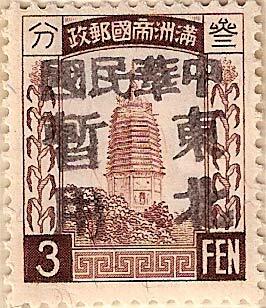 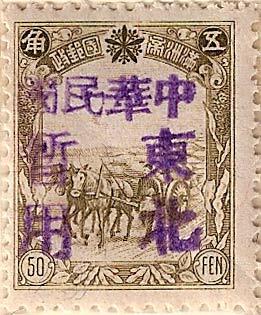 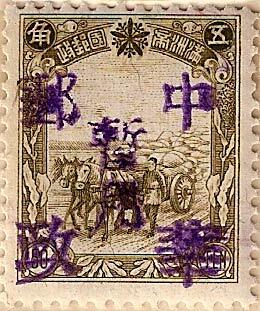 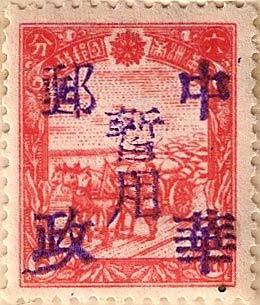 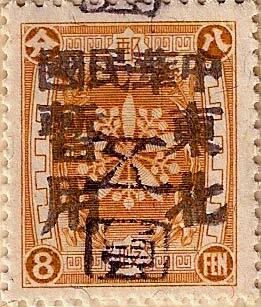 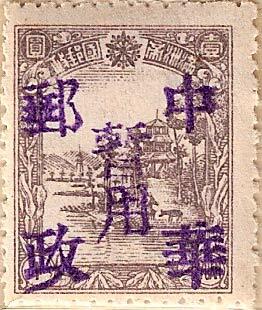 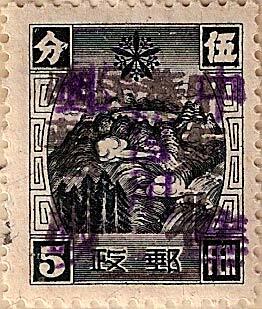 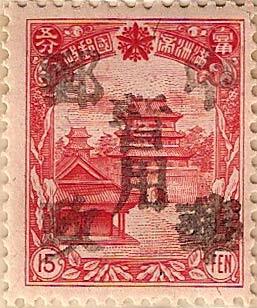 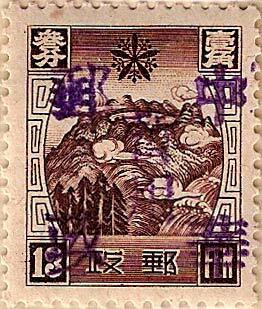 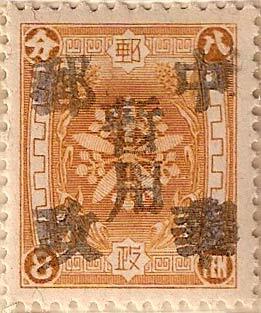 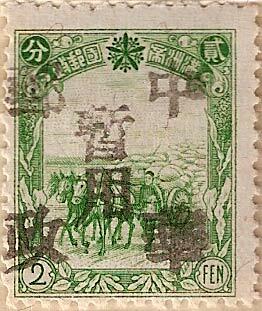 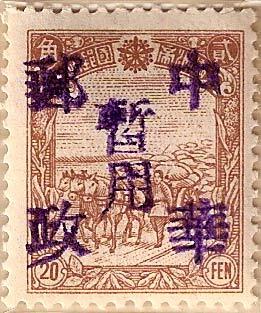 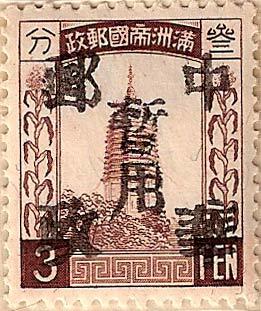 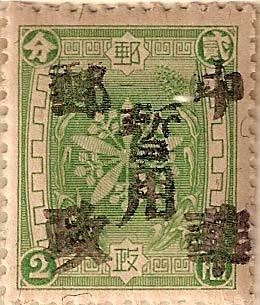 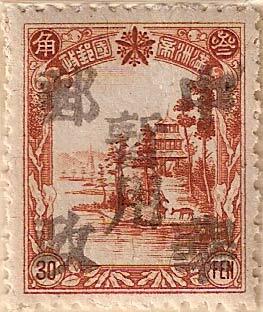 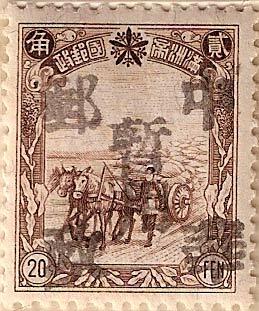 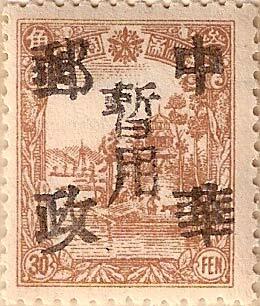 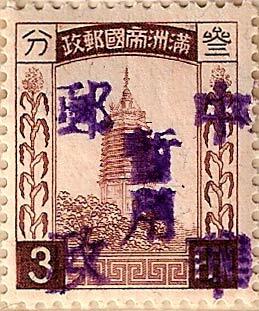 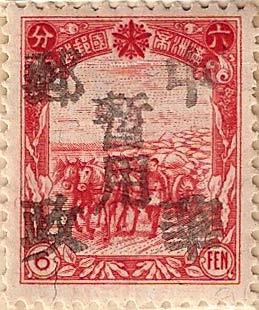 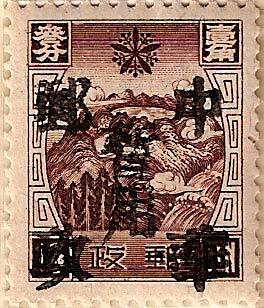 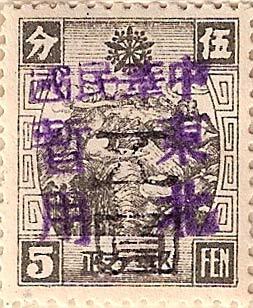 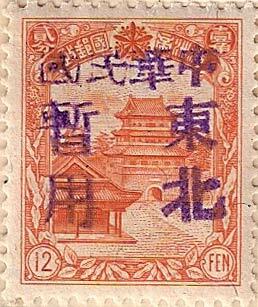 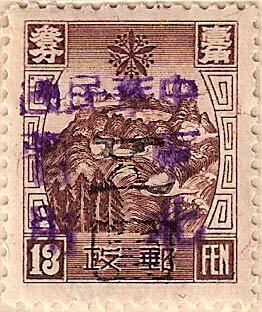 Black 5Y surcharge on six stamps from the above set with a violet 中華民國 Chinese Republic overprint. 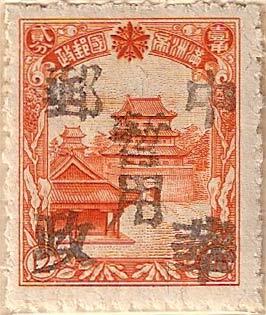 Examples of all overprints known for this town are shown above.